Have you ever wondered what marrying a Chinese woman would be like? Although his impersonations and accent are typically Shanghainese, a laowai’s video about his marriage has echoed with many as a surprisingly accurate portrayal of Chinese family life. 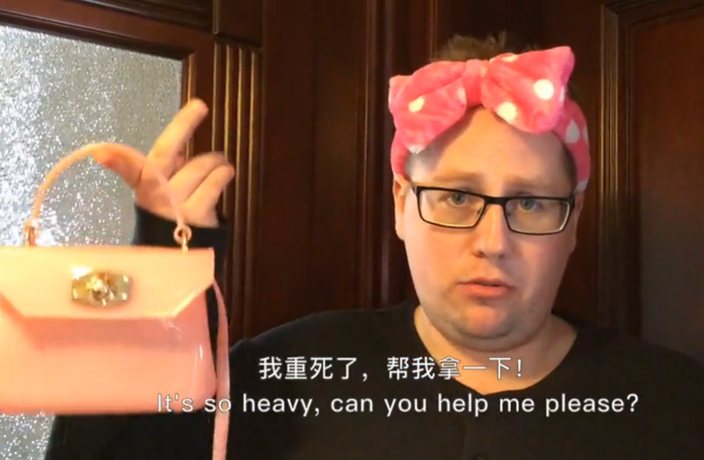 Speaking in flawless and lightning-speed Mandarin with a distinct Shanghai lisp, this expat named Thomas from Germany comically impersonates his mother-in-law, father-in-law and wife in a short video. The mother-in-law brings up potential children, the father-in-law focuses on financial and automobile-related matters, and the wife wants him to carry her bag and spends too much time getting ready to go out. While Thomas’ Chinese skills are undeniable, his acting is also highly entertaining. Anyone who’s lived in Shanghai long enough will recognize the characters he affectionately caricatures.